Based on my experience so far in online businesses, i will be sharing my own ideas of some of the best and easiest business to start online and make money. 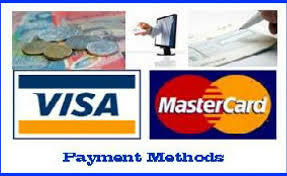 The internet businesses listed below are not only easy but good in terms of payment and cashing out . There are businesses online that are quite easy to start with little or no capital, some of these businesses can also be done without college degree or with one. Its so easy that male, female, moms, dads, youth, teenagers etc can engage themselves with these kind of business and get paid directly into their local bank account. 1. YouTube ; One of the easiest business to start online and get paid is through creating and uploading videos on YouTube. You can even pick any interesting video online, edit and re-upload to YouTube. You make money through the views of the videos by monetizing the videos with Adsense. It means you allow Google display ads on the site. This post was aimed at describing not only the easy but the easiest way to earn money online doing simple task and earning cash without stress. 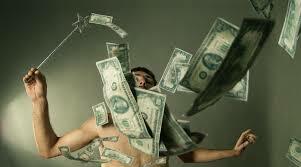 The online business we are talking about are free and legit online businesses that pays. 1. YouTube ; I found YouTube to be the easiest because it doesn't require much but video creation or editing. You can edit videos, create Slides and monetize it with Adsense. This means you allow google to display ads on the video and you get paid for every valid views the ads get without stress. I decided to create this post due to the fact that Nigeria is fast growing in internet usage and various online transactions such as making payment and receiving money online accompany it. The advent of Online Payment services or gateway such as PayPal has really boost buying, selling and making payment online in which people in Nigeria can also do so online. This is why this post was created to list the best online payment gateways in Nigeria. The best online payment gateway which works great in Nigeria to buy, sell, send money or receive money online are those that are reliable, fast processing of cash, fast payment delivery, 24hrs customers services and trust. In the area of trust, fast processing of cash and other factors, i will recommend the following online payment systems or online payment gateways as the best in Nigeria so far. Sundar Pichai has become the New Google Chief (CEO) as a result of the mass restructuring taking place in the company. Sundar Pichai was announced as the new chief executive officer of Google inc due to its input, ideas and experience in the company. 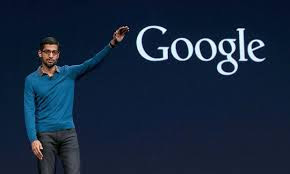 Related Post - Larry Page, Google CO-Founder Related Post - Entrepreneur of the week, Sergey BrinSundar Pichai will replace Larry Page who still maintain his post as Co-Founder along with Sergey Brin who are both Co-Founders of the company.